James Walton had arranged a pre-Easter getaway to the Lake District with his partner this weekend and thanks to the Your JLR app win a car for the weekend competition he is going to be heading to England’s largest national park in style! 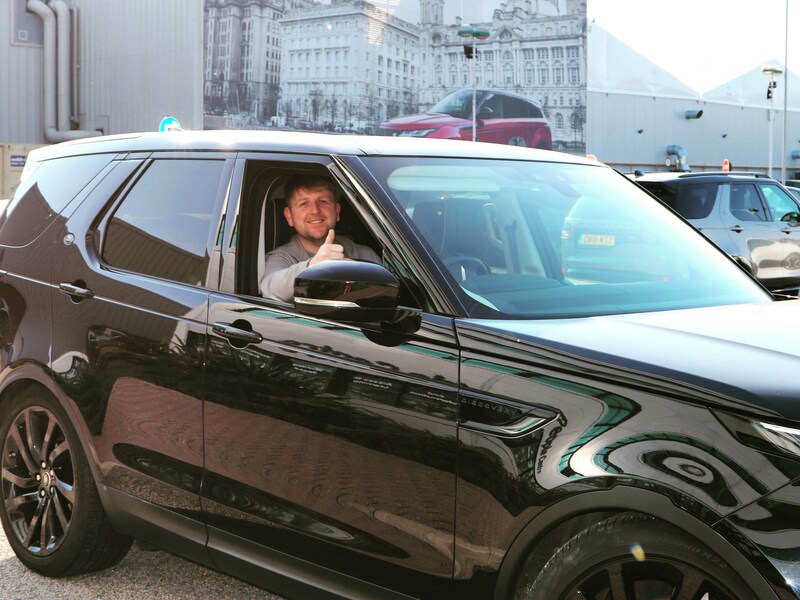 There’s no perfect car for cruising around Windermere than a Land Rover Discovery so James, 29, who works in the Final underbody team at Halewood couldn’t believe his luck when he won the car. James added that he thinks the app will make it so much easier to get information about work and the factory for line workers like him: “When you are tied to the line you just don’t have time to get as much news and info at work as I would like,” he says. If you want to be in with a chance of winning all you have to do is simply search for and download the Your JLR App from the Apple App Store or Google Play and fill in the competition. Someone will win the car for the long Easter weekend – will it be you?